W ith more than nine years of research, no one knows more about the RV industry than we do. Our statistics and analysis come from speaking directly to RV manufactures, dealers and owners. We’ve put in the long hours and hard work, so you don’t have to. Helping you become well informed and confident in your selection will save you the frustration which often accompanies uninformed decisions. 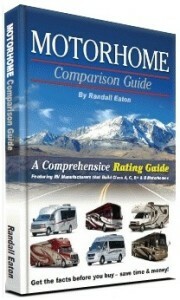 RVReviews.Net offers the most comprehensive RV Consumer Buying Guides on the internet. Find your new or used RV with our non-biased recommendations and expert advice. Our RV guides will help you select the best RV model at the lowest price. We rate all RV models and provide ratings for over 45 different motorhome manufacturers in North America. Get the facts before you buy and save time, money and best of all select the right motorhome for your travel needs!